Home Forums General News Mythic Imperator down! 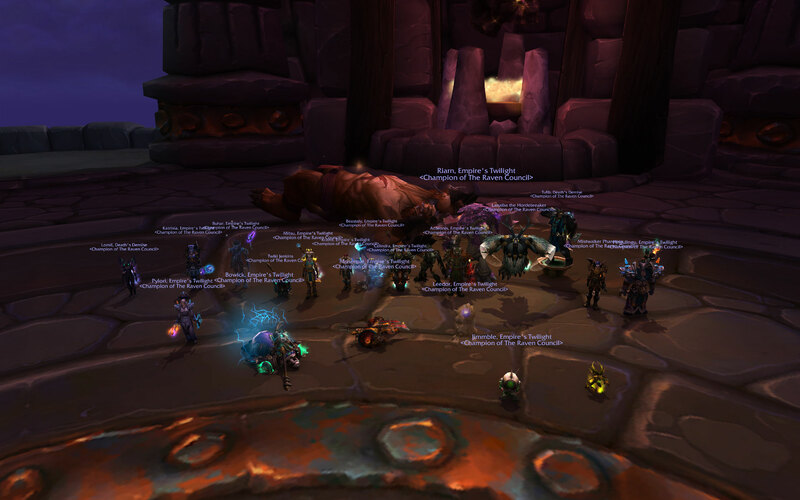 We finally cleaned up Highmaul in merely 14 (13 if you don't count Pingu's mispull) wipes and then a one-shot tonight in a relatively clean kill. Should help us a bit on the world ranking, as well as server ranking. On this server not counting connected realms, we're also second alliance guild again. Afterwards we went ahead and one-shot Thogar and had some first impression tries on Maidens. Should be able to kill them in a few weeks time.